The original soundtrack by Brocker Way to the hit Netflix documentary series Wild Wild Country is set for release Sept 21st via Western Vinyl. Don't miss my interview with Way, coming soon to The 405. 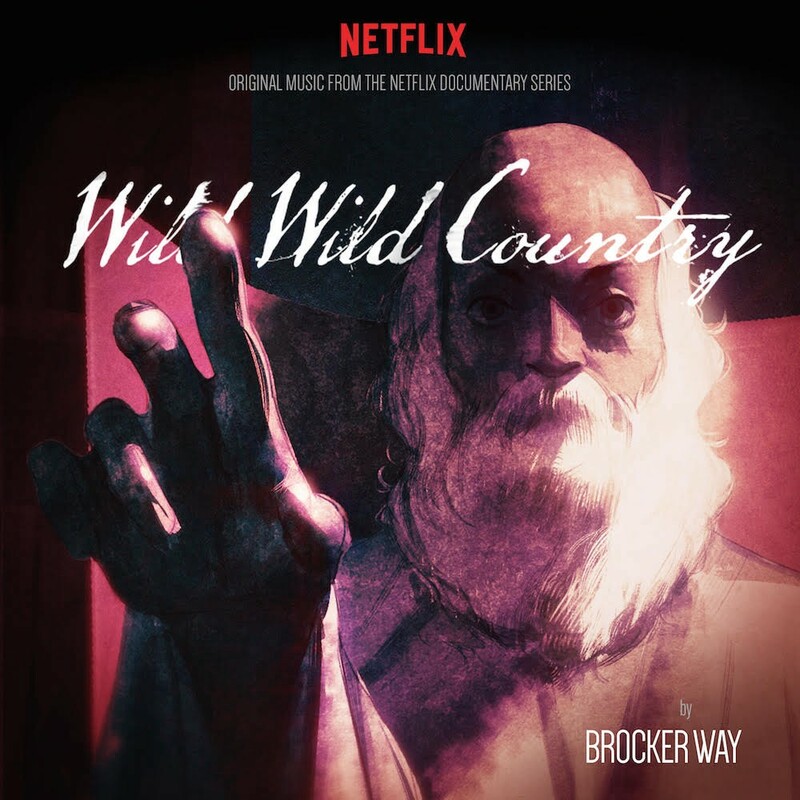 The original soundtrack by Brocker Way to the hit Netflix documentary series Wild Wild Country is set for release Sept 21st via Western Vinyl. Preorder the soundtrack here. Catch the new track "The Adventure of My Life" below. Los Angeles-based composer Brocker Way's impassioned contemporary classical arrangements act as a powerfully emotive force behind show, gently nudging the audience’s perception, and at times brashly stepping out in front of the show's subject matter. The soundtrack's fifteen pieces – taken from the recording sessions of the docuseries' original score – serve to deepen the ecstasies and tragedies recounted in their visual companion, providing delicate color and weight to the story of the Neo-sannyasin cult and the trouble surrounding the commune they constructed in 1980's Oregon. With its kinetic movement and narrative sense of melody, Way’s score tells its own story when extracted from the series and distilled into LP form. At an early age, Brocker Way began studying dance. Taking the lead from his mother, a hip hop dance instructor herself, he began teaching hip hop dance classes at local gyms as a teenager, and continued this line of work through his high school years. Contemporaneously, through a "fast track" educational program, he was allowed to enroll in college courses where he began obsessively studying composition, music theory, and orchestration, while also engaging in various musical endeavors with his brother Chapman who would go on to be one of Wild Wild Country’s directors. As his younger sibling’s interests shifted evermore to filmmaking in the years that followed, Brocker found himself applying his hard-won knowledge to writing music for commercials and films. The Way brothers’ symbiotic pursuits would eventually culminate in a family-wide project, 2014’s The Battered Bastards of Baseball, a compelling documentary about the independent baseball team established in 1973 by their grandfather Bing Russell, narrated by their uncle Kurt – who himself played on the team. With co-directorial help from their third brother, Maclain, the Ways turned their familial cinematic efforts to the controversial story of Rajneeshpuram, a town established near Antelope, Oregon in 1981 by Indian mystic Baghwan Shree Rajneesh and his devotees. Working closely with his brothers and a skilled technical team including mix engineers Joey Waronker (Atoms for Peace, David Byrne, Beck, R.E.M.) and Tom Biller (Kanye West, Jon Brion, Kate Nash), and percussionist Neal Morgan (Joanna Newsom, Bill Callahan), Brocker's Wild Wild Country vignettes are meant to reflect the outlook of each of the show's interviewees rather than simply emphasizing their outward idiosyncrasies. Such an approach invites the listener to inhabit the myriad personalities and situations in the show from a virtual first-person perspective, sculpting a deeply empathic auditory experience capable of standing on its own as an album. In Way's words, "This kind of music gives us an idea as to the motives of each talking head, without actually scoring the motives of the character, and hopefully entices us as the audience to take the journey with them. When the Rajneeshees are building their town, you get to feel that and be right there with them. When Dave Frohnmayer is building his case, you get to feel the nobility he saw in his cause, and we hope to put you right in the room with him when he's doing it. When a city inspector has to go onto the ranch you can feel the fear as you sit in the car with him. That's the goal anyway." Way has an impressive ability to transmute the complex, conflicting sentiments of each of the series' featured individuals into satisfying musical motifs that skirt folk-rock, ambient, contemporary electronic, and modern classical styles with measured ease. Hand picked from hours of Brocker Way's most definitive sessions to date, the Wild Wild Country (Original Score) is a perfect companion to 2018's best documentary series. Stay tuned to The 405 for my interview with Way, coming very soon.